Another collaboration – Business and Pleasure – the aim of our trip to London. In this particular instance definitely a recipe for success. It was a comfortable and pleasant train journey up to Paddington, although a wee bit of angst as I had been issued a ticket for a different train! First port of call was to see the Giacometti Exhibition at the Tate Modern. 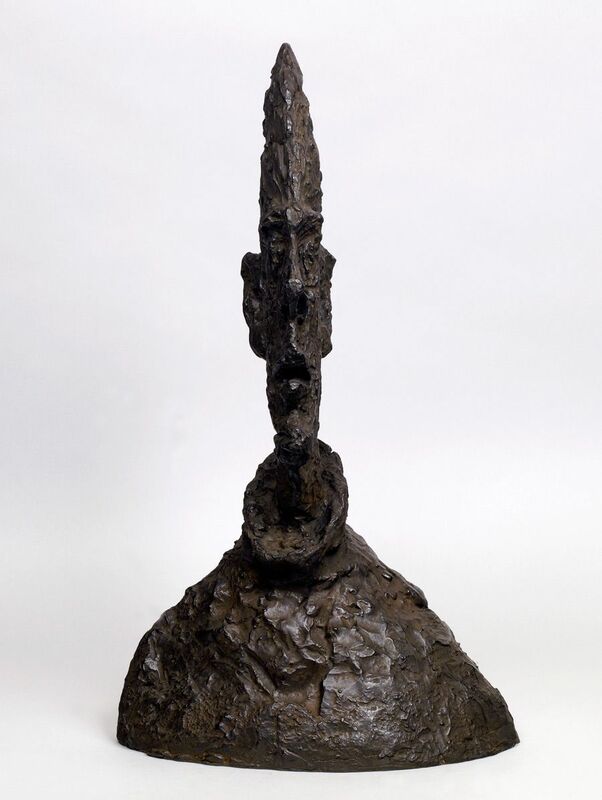 Below is a short but informative few facts relating to Giacometti. We both related to and loved the use line in both his drawings and sculptures which links to the linear and mark making elements in our own designs which we combine with expressive, colourful and painterly compositions. The human sculptures show such a great strength in materiality and yet the surface suggests a ruggedness and fragmenting in its application, but always there remains a fragility in the linear form. 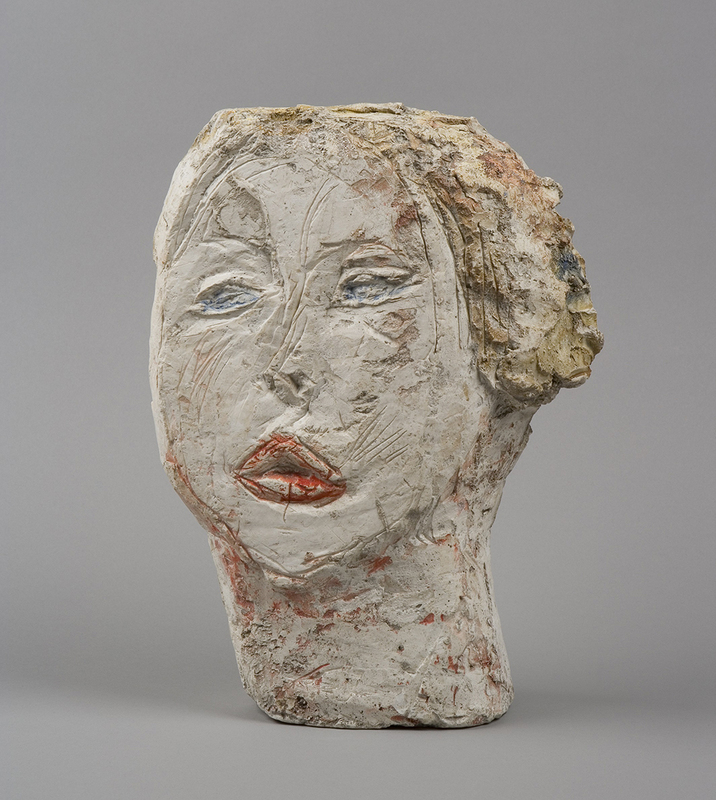 It was wonderful to see Giacometti’s early work of sculpted heads, represented in a myriad of forms, from realistic to tribal to surreal. We could see the ‘influences’ of so many other artists of the period. 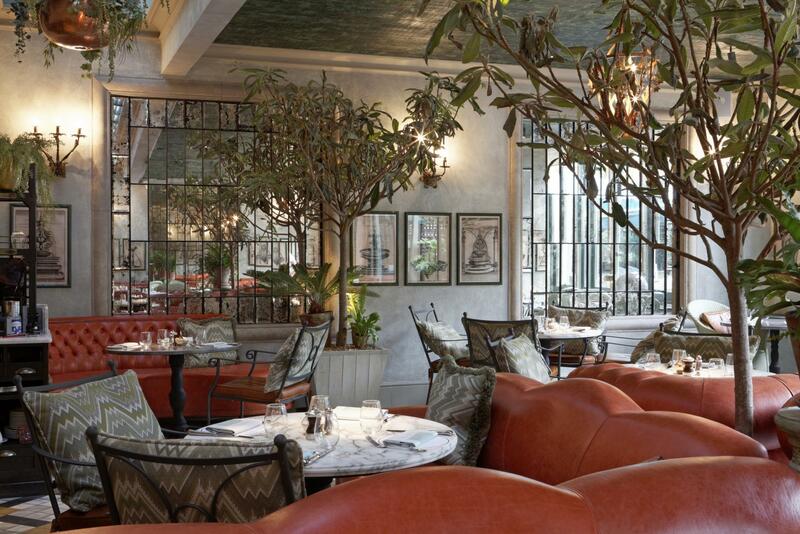 Having covered a lot of ground pm then took a long walk down to The Ivy Chelsea Garden Hotel for our evening meal. All very relaxed, no airs and graces, good food and wine in a very beautiful and green environment. We both admired the waitresses attire, all over floral fitted, trouser suits, very English Garden. Returned to the mews in Kensington, tea and to bed in a most relaxing and chilled environment. Up and out for breakfast and then on to visit and make contact with a few very up market and cutting edge interior design shops as part of our research. There are some amazing, innovative products by very talented designers out there and we were both very enthused and encouraged. 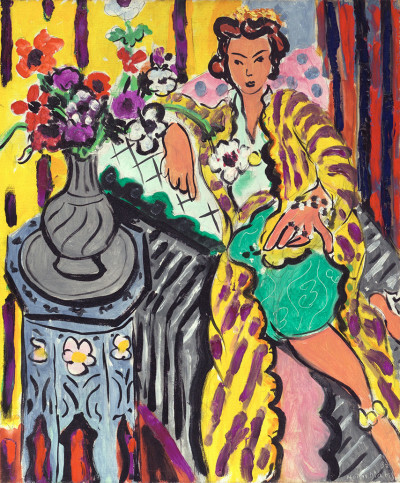 ‘Matisse in the Studio’ Exhibition at the RA was next on our ‘to do’ list. Fortunately, not too busy, as we are always apprehensive at timed entries, as it suggests thousands of visitors and the inevitable back pack encounters in the gallery! It is always the icing on the cake to see work for real, to experience up close the colours, texture and scale of works. As with some of Picasso’s work the application of paint is quite thin and flat. It is all about the line, the pattern and composition. Joyful, often high key in colour we again found links to our designs where the use of bright colours, which we incorporate, celebrate the landscape. This is the most uplifting of exhibitions, no doom and gloom here; it was fascinating to be able to see the familiar objects that the artists used, time and time again, that most familiar coffee pot that we know so well included in his most celebrated interiors and still lifes. An added bonus was to see the working sketches for the still life below. The shell always seems rather at odds in this particular composition for me, but there is the famous coffee pot. It all rather emphasizes and confirms that there is beauty to be found in the most simplistic of forms. The humble coffee pot will never be quite the same. A quick browse down Regents Street going towards Oxford Street and Libertys where we found the store undergoing a bit of an update – about time too. We realise that it is an iconic landmark for visitors to London but perhaps for some it has its heyday, we didn’t find much to inspire and left via the antiquated and rather fusty, out dated lifts. All rather disappointing as it is such a flagship for fabric and interior designers. 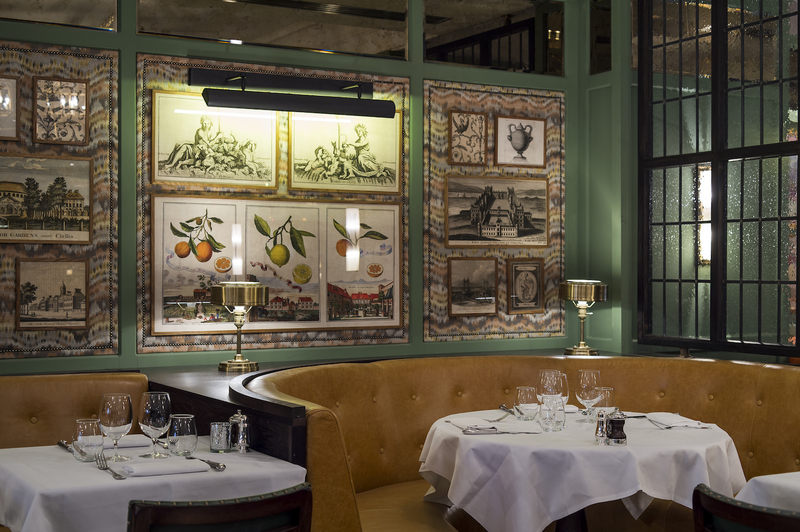 This is not to say that there is not a place for the historical architectural ambience that Libertys offers but at present there is not too much of anything new to be seen within this concept. With the current trend for more high-end, upcycling and ecologically produced products the new global designers are certainly showing us something unique, innovative and presenting practical, yet exciting new concepts for our homes. Great and inspiring couple of days away, providing lots of food for thought. Our second collection now well on its way with more designs evolving and others coming to fruition. 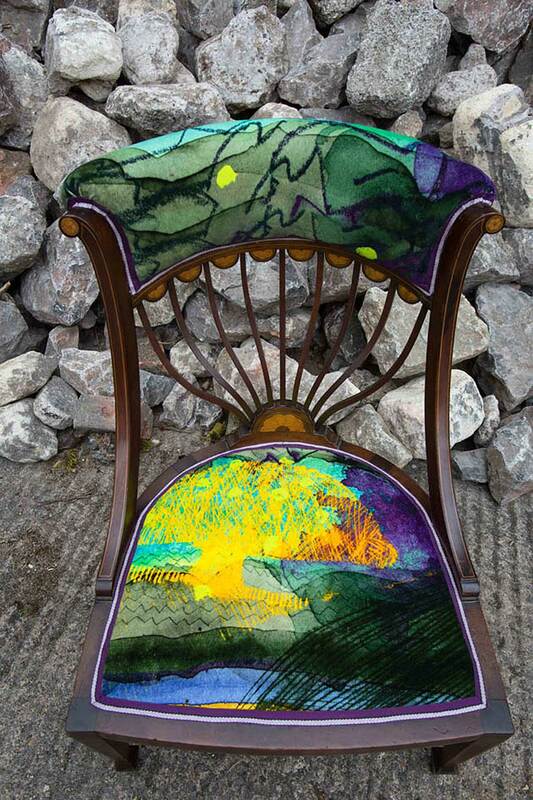 It is all very exciting and our Edwardian chair in the window of The Woodworks shop in Bath is creating a lot of attention and very positive feedback.